The Outdoor Program (TOP) offers local and regional hiking, camping, and other outdoor adventures for students. We also have a four-season equipment rental center. TOP offers affordable equipment rentals for students, faculty, staff, and community members. We have a wide variety gear ranging from kayaks and paddles to ice axes, crampons, and tents. Visit the Equipment Check Out page for more information. If you’re a student at Evergreen, you’re eligible to sign up for our low cost trips designed for all experience levels. Past trips have included rock climbing at Smith Rock in Oregon, paddling the Puget Sound, exploring mountains and beaches on the Olympic Peninsula, and more! Read about upcoming and past trips on the TOP Facebook page. You can sign-up online or stop by the TOP office and we can assist you! Come out and celebrate the spring with some s’mores eating and climbing! We will provide all climbing equipment and s’mores materials. All you need to do is have fun! All experience levels are welcome, and helpful instruction is available if desired. All are welcome, we look forward to seeing you there! No registration needed. Cost: Free! Plants! Birds! Soils! Ecosystems! Take a hike through forest and wetland to enjoy and observe classic Pacific Northwest natural environments. We will bring field guides so we can learn about the surroundings. At the end, we may also stop at the nearby Mima Mounds. First-time hikers welcome! Bring your own lunch; gear and transportation by passenger van provided. Morning of the trip, meet at the TOP office (CRC 109) at 9:00 am. No pre-trip meeting required. Cost: $5 Register HERE. This trip is sponsored by the Clean Energy Committee and is a collaboration with W.I.S.E. (Women in Science at Evergreen). Enjoy the emergence of summer with a relaxing getaway to the beach. Enjoy beautiful views, sunshine (finger crossed! ), and personal relaxation time. Activities such as yoga, meditation, and beach walking are all welcome. Join us for a wonderful, rejuvenating, relaxing experience. All are welcome! We will be meeting at the TOP office (CRC 109) at 9:00 am. No Pre-Trip meeting required. ​Cost: $7 Register HERE. Have you ever been curious about packing food for a backpacking trip? If so this is the workshop for you! We will be focusing on packing plant based food using methods of dehydrating, de-bagging and more. All are welcome! Cost: Free! No registration needed. Celebrate the springtime by backpacking in the beautiful Olympic National Park! We will be hiking along the refreshing blue waters of the Hoh river, and through old growth forests draped in green. All meals will be plant based! Come join us for a great trip fueled by vegan foods. All are welcome, no experience necessary. The Pre-Trip meeting on Wednesday, May 8th at 5:00 pm in the TOP office (CRC 109) is mandatory. ​Cost: $40. Register HERE. Embrace the new growth of spring with a mushroom identification hike. Join other like-minded mycologists for a day of fun and adventure searching for fungi. All experience levels are welcome! We leave from the TOP office (CRC 109) at 9:00 am. No Pre-Trip meeting required. Cost: $7. Register HERE. Celebrate the grand re-opening of the Evergreen bouldering gym! Food and climbing shoes will be provided. Cost: FREE. No registration required. Celebrate the warm weather with a Memorial Day weekend trip to the beautiful basalt columns of the Tieton River Gorge. Enjoy a variety of routes and skill levels, and great community and food, all in a beautiful setting. All experience levels are welcome, and various levels of instruction will be provided for those interested. If you have ever been interested in climbing this is the trip for you! Mandatory pre-trip meeting is on Wednesday May 22nd at 5:00 pm in the TOP office (CRC 109). Cost: $70. Register HERE. Spend time in the CRC bouldering gym with other femme climbers! This is a space meant to build connection, help solve bouldering problems, and have fun. 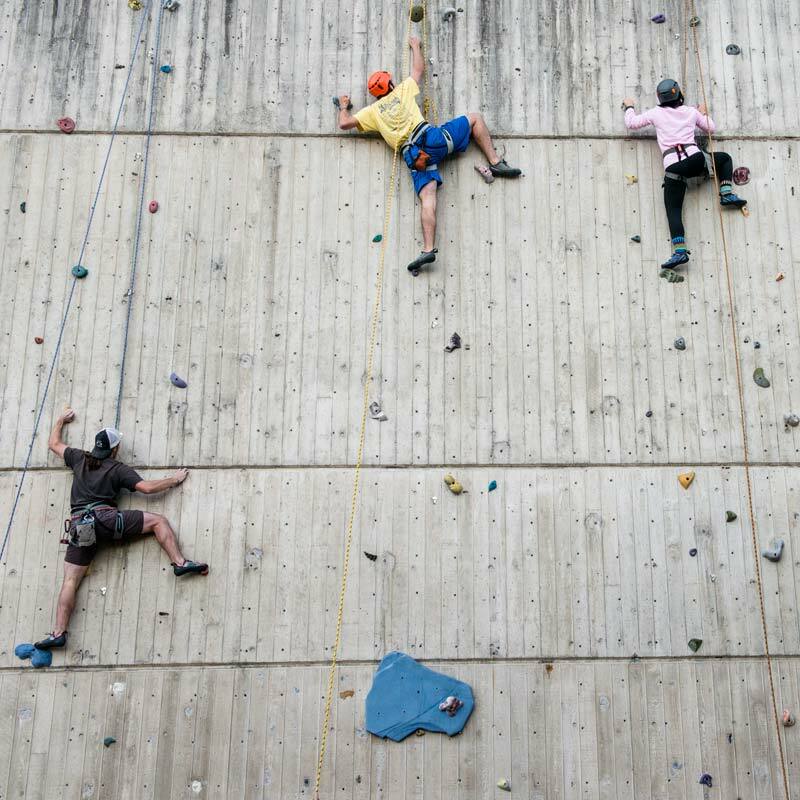 The session is open to seasoned climbers and newcomers alike. If you've never bouldered before, or don't even know what bouldering is (it's rock climbing on short walls so you don’t need ropes) please join us, and we'll help you figure it out! Climbing shoe rental at the CRC equipment center is free for current Evergreen students and CRC gym members. We'll provide the pizza. Cost: FREE. No registration needed. Register online or stop by the TOP office desk to sign up. If you want to find out more about a specific trip, visit the TOP office during our open hours of 2 – 7 pm, Monday – Friday. Trip fees vary based upon location, duration, and activity type. The fees are based only on direct costs such as food, campsites, permits, and transportation. Cost a barrier? See the below for information on the fee reduction program. This required meeting will cover logistics and safety for your trip. You’ll find out what you’ll need to bring and what to expect. If your schedule conflicts with the meeting time, email us to schedule a meeting with the TOP Coordinator to cover the material. TOP staff will bring group gear like tents and cook stoves. At the pre-trip meeting, you'll get a packing list detailing anything you need to bring. If you don't have required clothing or equipment, we've got you covered. The rental cost of the gear is included in your trip fee. Meals are provided for all overnight trips. While food is included in the trip fee, you may opt out of the group food for some trips to reduce the trip cost. If you have special dietary needs, let us know! We have a lot of expertise in creating delicious and filling meals for virtually every eater. We only issue trip fee refunds if the trip is canceled. 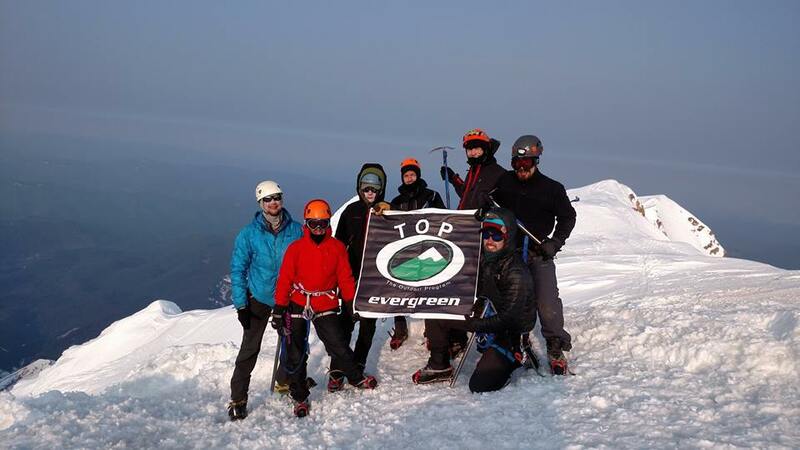 The purpose of this partnership program with the Clean Energy Committee is to expand access to the outdoors and spread wilderness conservation ethics to our participants. To apply, please submit a trip reduction request form (DOC) via email to top@evergreen.edu or deliver it in person to the TOP office. You’re allowed one reduction per quarter. TOP builds Evergreen student community, personal growth, and connection to nature through outdoor experiences. There is no need to join! Many students get involved by joining our weekly meeting, on-campus clinics, or off-campus trips. Others become trip leaders. As a trip leader, you'll help organize trips and support your fellow students while enjoying the outdoors. (And you don't pay the trip fee!) If you're interested in jobs in the outdoor industry, you'll have a chance to learn valuable skills. Just drop in during office hours to find out how to become a trip leader or volunteer in the climbing gym.